Aerial photo before Driving Range grown in. Brian Rhodes, PGA Teaching Professional and Curt Lohrey, PGA Teaching Professional each offer instruction individually and in group session here at Airway Meadows Golf Club on the Driving Range and on the course for On-Course Instruction. Brian is a Class "A" Professional and is an experienced and skilled teacher of the game. 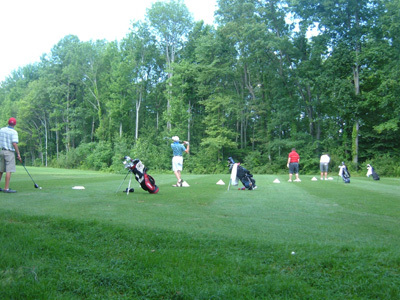 He runs Saratoga Junior Golf and can be contacted directly at e-mail: [email protected] or cell 518 368 7473. Curt is also an experienced and skilled teacher of the game and can be contacted for a single session and he sells packages containing a number of lessons for a package price. Contact him directly at e-mail: [email protected] or 518 584 6672. 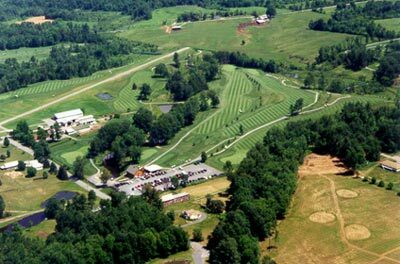 Airway Meadows GC all grass tee driving range is located only minutes from Saratoga Springs and the Adirondack Mountains.